The USC230 is almost similar to the UBC72XLT. The unfiltered audio can be found at LND7. There is one difference: the USC230 has two pushbuttons on the side, leaving not too much space for an additional socket. I have modified the headphone socket to connect the discriminator signal, keeping the headphone signal available as well.. The scanner uses a stereo 3.5 mm headphone output. The middle contact is made available for the discriminator output. 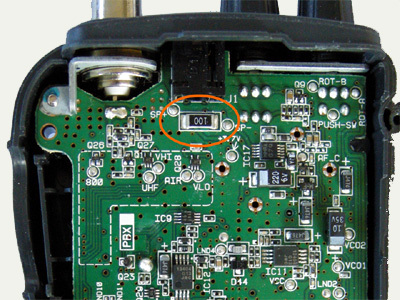 The SMD resistor (see circle) needs to be removed. 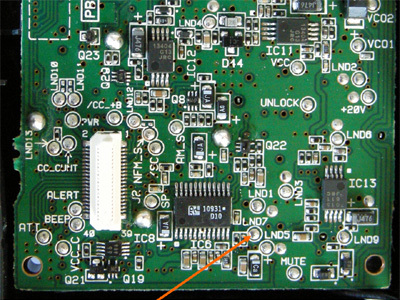 A 10 k resistor is soldered to the right solder pad. 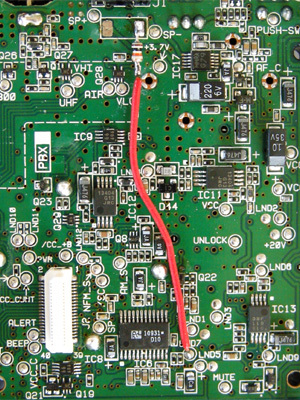 The resistor's other lead is connected to a wire running from LND7.